I can't believe we are less than a week away from Christmas. This holiday season is zipping on by. If you are here to party with me during this super busy week, thank you! 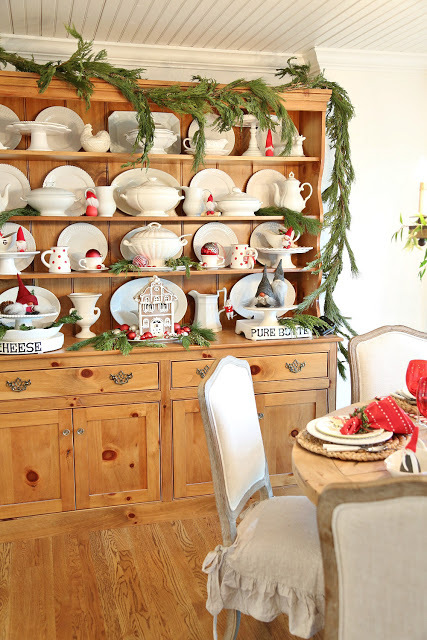 I am literally drooling over this breakfast room ready for Christmas by Rattlebridge Farm. Cute cozy Christmas tour at The North End Loft. 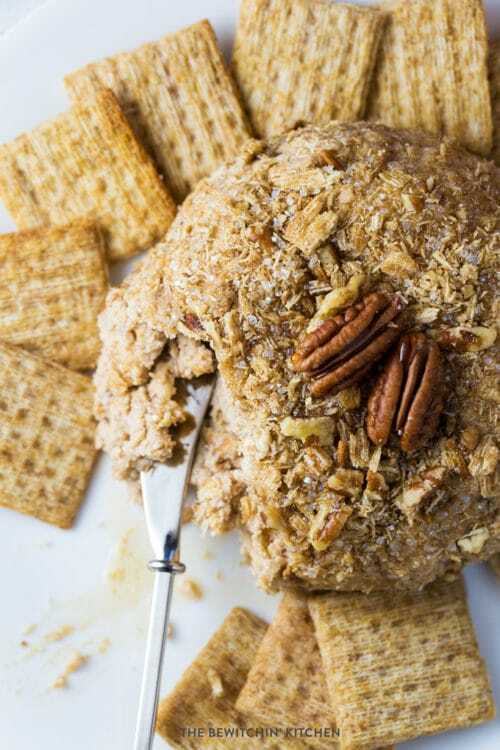 Brown sugar cheesecake dessert cheese ball by The Bewitchin Kitchen. Now we want to see what you have to wow us with! I have been drooling over Michael Lee's breakfast room too...oh that hutch!!! Thanks for hosting and Merry Christmas!!!!! Kim, we all really appreciate you hosting this great party every week. Wishing you a wonderful Christmas! Thank you so much for featuring my Christmas tour, Kim. I'm not blogging as much these days as many others, but my heart is still here in blogdom. I'm truly touched that my blog friends still follow me and feature me sometimes. Really, thank you so much! It means a lot to me. Merry Christmas! 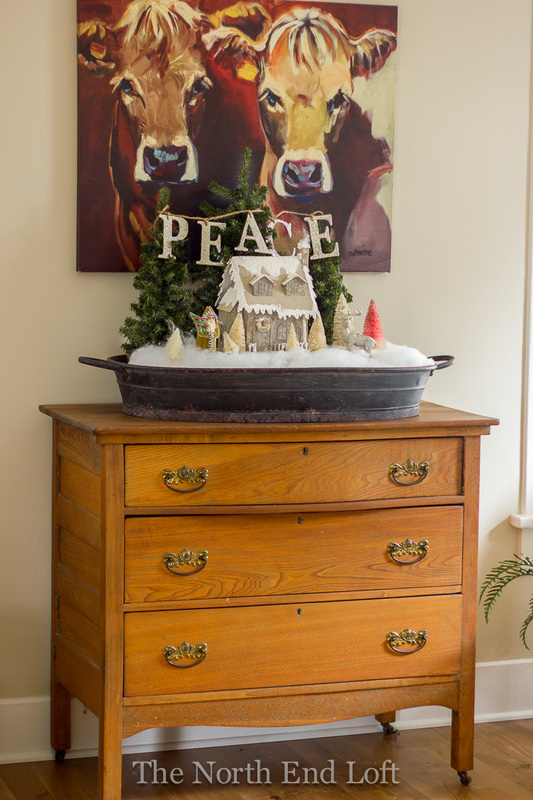 Kim, you sweetheart, I am so honored that my hutch was featured today. Thank you a million times over. Wishing you and Miss Bailey the happiest Christmas! Always a great party, Kim! Thanks for hosting! Thanks for hosting Kim! I hope you have a wonderful Christmas! Thanks Kim for your 367th Wow Us Wednesdays. Merry Christmas. Thanks for hosting faithfully each week, Kim! Have a blessed Christmas with your family! Wishing you a very Merry Christmas, Kim! Thanks for hosting and Merry Christmas to you and your family. Thank you so much for hosting another great party Kim, wishing you a Merry Christmas!!!! Happy Christmas to you and your family, Kim!!! Thank you for hosting, as always. I linked back and tweeted and G+ your party for you, and pinned from several featured posts. Cute ideas! Merry Christmas to you and yours. What lovely features! I adore the decor in the hutch.